After a couple of false starts , we are now offering the full range of film processing for our customers. 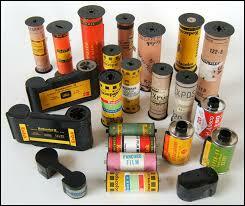 Black and white, colour, and also slide film, in 35mm and 120 size. Canon has announced a pretty generous cashback offer starting today, the 1st of August. Savings of up to $50 across Canon’s fantastic range of compact cameras and offers of up to $200 cashback on selected models in their digital SLR range. Find out more in-store or follow the links below to see the products and savings on our webstore. 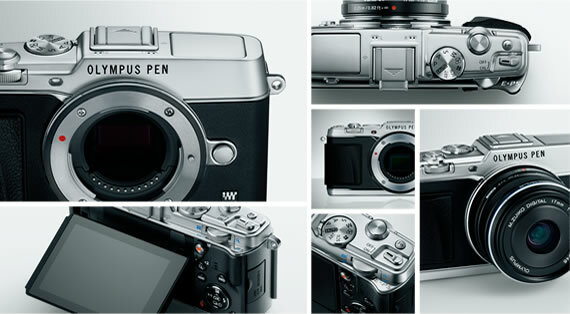 We have a few surplus Olympus PEN E-P5’s kicking around and have decided it’s time to find them loving new owners. With a 16 megapixel sensor and the ability to take any of Olympus’ fantastic Micro Four Thirds lenses, The E-P5 is an absolute steal at $450. For an extra $140 We’ll even throw in the 14-42mm kit lens. All this adds up to wonderful images from a compact and lightweight package at an absolutely fantastic price. Check them out at the links below or come in to the store for a test drive and to ask any questions you may have. As always we want you to help you get the most from any purchase you make from Walch Optics. Hooray, the Sigma 50mm f1.4 now in stock! 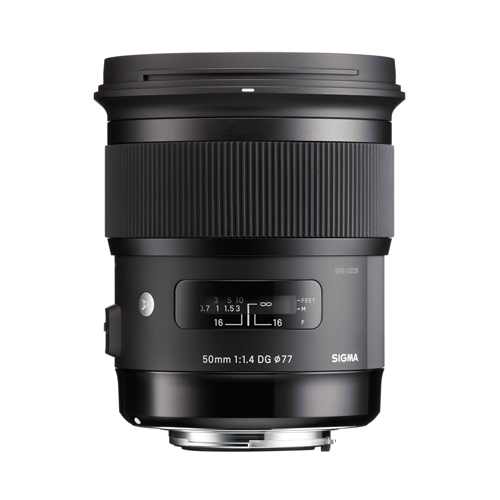 We are unpacking a delivery of Sigma lenses and are very excited about this new model. Just the Canon mount at this stage, but apparently Nikon mount is around the corner. You should buy this lens, it’s great. Really great. Rivals Zeiss for 1/4 the preiss. 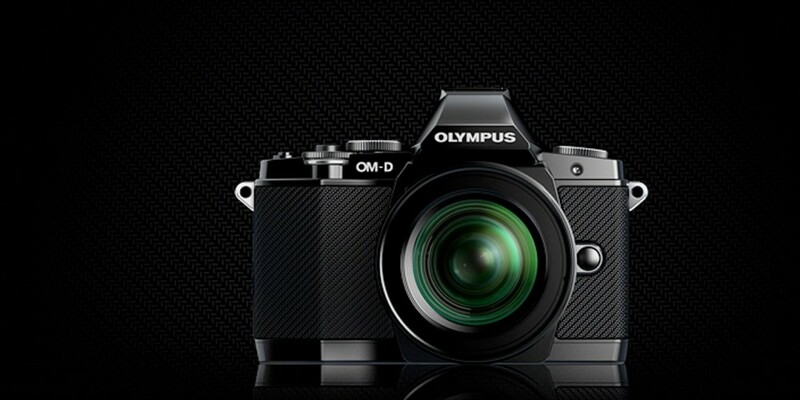 Olympus OM-D E-M1 Product Launch & Demo Night. E-M1 hosted by Olympus Australia, and presented by Olympus Ambassador Karl Ludik at a Salamanca conference center. 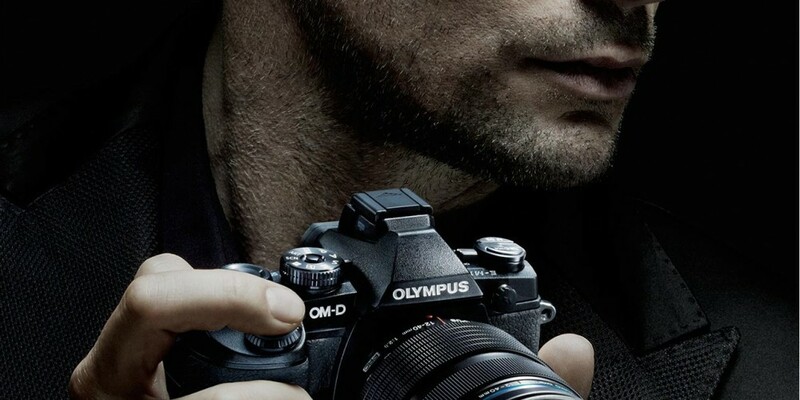 Olympus have really impressed us with the original OM-D and really, the whole micro four thirds system so we are looking forward to dissecting the details of this new flagship model. The event will provide you the opportunity to have a play with the new camera and get a detailed presentation of it’s new features and technologies from Karl in a nice comfortable setting with refreshments provided. You don’t have to be an expert or anything, come along even if you’re just a little bit curious about the Olympus cameras or want to learn more about how they work. Plus you’ll be supporting your favourite camera shop Walch Optics by coming along too. If you have any further questions drop us a line 6223 8855. 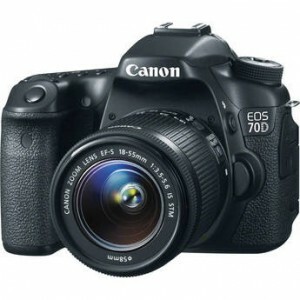 The new Canon 70D is here. The Canon 70D is here in stock as of last week, and after playing around a bit with it I can say I like it. It’s the first camera to feature Canon’s brand new 20.2mp APS-C DUAL PIXEL AF CMOS sensor. Wow that’s a mouthful. But it is worth noting what it means – Until now Canon have been using their highly acclaimed 18mp sensor in all their APS-C cameras such as the 600D, 700D, 60D since it was first introduced in the 7D back in 2009. This sensor still holds it’s own compared to the rest of the market which is why even after 4 years the 7D is still a great camera, but since the release of Nikon’s new 24mp sensor last year we have been looking to Canon for how their next generation of DSLRs are going to measure up. The DUAL PIXEL part describes a new focusing technology that works when the camera is in LIVE VIEW mode. Without getting crazy technical, basically light is split into two parts by the sensor, half is used to capture the image, and the other half is used to measure the focus. This is important because typically DSLRs have struggled to perform very well in LIVE VIEW or while capturing video. This new sensor allows the camera to focus pretty much as well as a camcorder, but with all the quality of a DSLR. I did some testing and the camera can certainly follow a subject as it moves towards or away from the camera. Also it doesn’t suffer from the random loss of focus during filming that we sometimes see with DSLR video. Couple this with Canon’s new STM silent focus lenses and I think we can claim this is a genuine innovation and not just a gimmick. 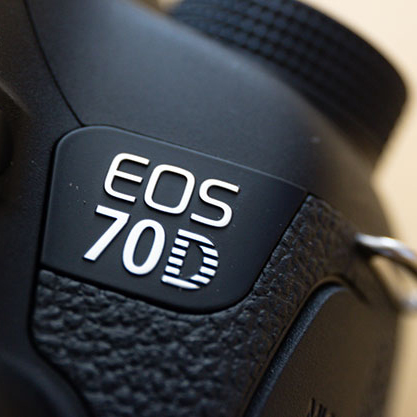 The build quality and operation is very similar to that of the 60D with updates including touchscreen, 7FPS continuous burst, 19PT cross type AF, WiFi, in-camera HDR, and IR off-camera flash control. This is Canon’s best crop-frame type DSLR on the market. Why don’t you come in and check it out, we’d be happy to give you a demo. Have you seen this? – Electronic DSLR RC for video. This is Manfrotto’s electronic controller for DSLR video. 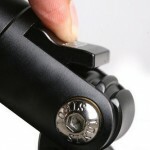 It allows you to auto focus, start and stop recording, zoom in on your LCD and most impressively control your focus. Yes that’s right you can pull focus back and forth using a trigger for smooth cinematic results without having to use a follow focus ring on your lens. 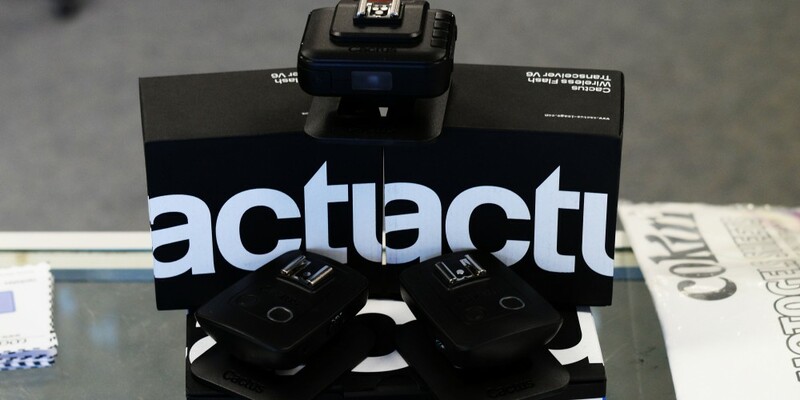 The device does this by tapping into the firmware of your Canon DSLR and driving the focus motor electronically. This is a great product for anyone looking to take their DSLR video to the next level. We have this is stock right now for $499. 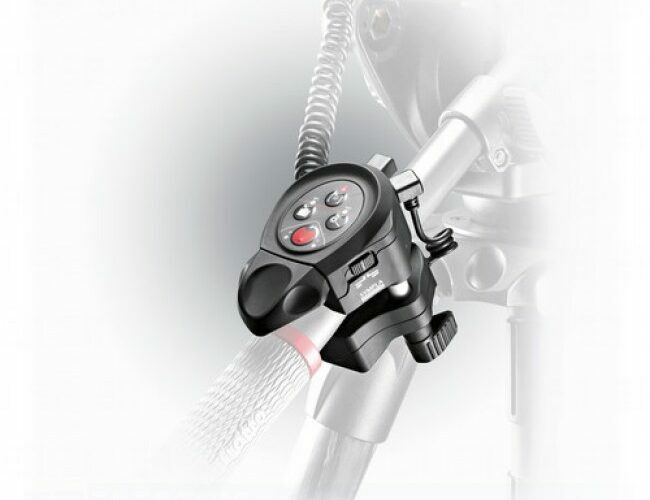 Also you can check out the Manfrotto website for more spec details. 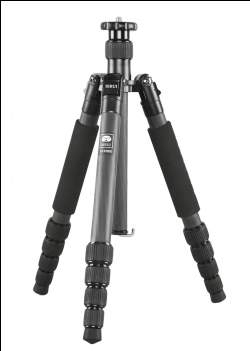 SIRUI Tripods: Exclusive to Walch Optics. Walch Optics are the exclusive outlet of Sirui Tripods for Tasmania. We have been selling them for about a year now and we‘re very pleased with the quality of the product. Since our website is up and running now, I thought it might be a good time to share the Sirui range with you in a bit more detail. SIRUI photographic equipment company was founded in 2001, originally as an manufacturer for a renowned french photographic company producing high-end photographic equipment. With the enriched technique and experience accumulated over those years, SIRUI started to develop its own brand and technology from 2006 onwards. By continuously investing in the advanced tooling and precision machining in concert with a well-trained design and engineering team, SIRUI was able to develop its own assembly line, and is independent from design to manufacture to assembly. This is somewhat unique for photographic products coming out of China, SIRUI design all their products from the ground up with exacting standards and even patent elements of the designs. Our hands on experience in the store with Sirui tripods has been impressive, they feel very well engineered. The action on every part of them from the leg clasps to the quick release plates or panning mechanism on the heads feels really smooth and solid. The carbon fibre is 8x which we are told is better than the standard 6x used in most other carbon fibre tripods, as a result the tripods are high in strength. All the Sirui products come with a 6 year warranty too. Let’s take a closer look at our range. This tripod is tiny. It’s perfect for traveling or bushwalking, so it’s quite popular with our outdoorsy customers. The T-005 comes in a kit with a ball head included, which weighs a total of just 800 grams altogether. After all the hoo-ha about the carbon fibre this one is actually aluminum, but its so small that you won’t save much weight by making it from carbon fibre anyhow. One thing to mention is that the minimum height is actually limited because the center column does not lower below the base plate, although this can be overcome by rotating the legs all the way around and inverting the tripod. The kit comes with a pull cord material bag and allen key set for adjustments. Another compact tripod good for traveling, the T1205x folds down to just 34cm in height and still fits in the zip up carry case with a ball head attached. The legs weigh only 800 grams but can carry up to 10kg meaning it will hold well above any standard DSLR setup. 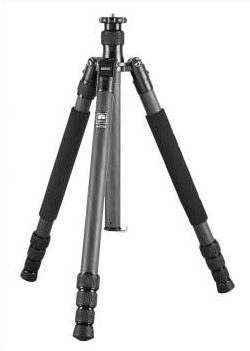 The tripod comes with a zip-up carry case big enough to fit the legs with a ball head attached. Also included is a short stem to replace the center column if you want to shoot very low to the ground, allen keys for adjustments and a replacement base plate for larger heads. This is the one you go for when you need the biggest and the best, well there is actually a bigger SIRUI tripod than this bit it’s huge and we only order it in on request. 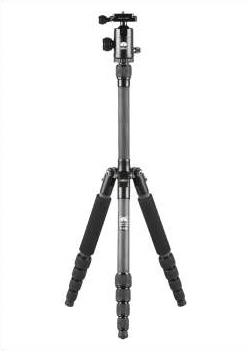 Weighing just 1.3kg and supporting up to 15kg with a wide footprint this tripod is big enough to suit most jobs and still very light. The really cool thing is that you can unscrew one of the legs and use it as a monopod by attaching the base plate provided, this is great if you’re shooting in crowds or simply need to steady a shot without being anchored down. 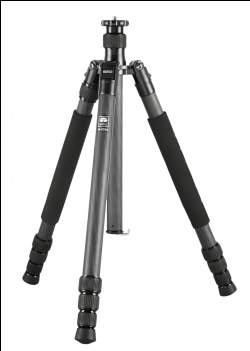 As with the other models the tripod comes with a zip-up carry case, spare base plate, allen keys for adjustment and a short stem to replace the center column if you want to shoot very low to the ground. 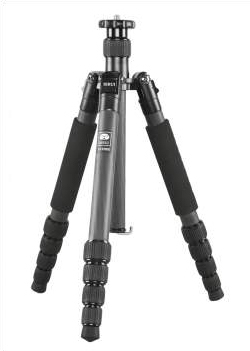 These tripods are all available for sale from Walch Optics. In fact we are the exclusive outlet in Tasmania, we don’t have them available for purchase online currently but of course we can ship directly to you should you need. Please call or email if you have any questions, or pop in and check them out.